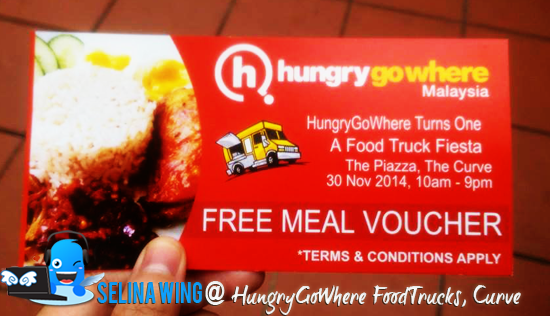 I invited by my ex-classmate MMU, Yi Ling who are working for the HungryGoWhere. 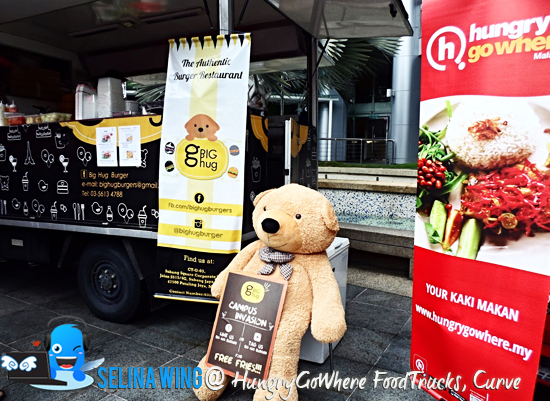 She informed me that HungryGoWhere (HGW), Malaysia’s Kaki Makan celebrated first anniversary with an exciting new look's website to launch the Food Truck Fiesta on Nov 30, 2014, held at Piazza, the Curve. 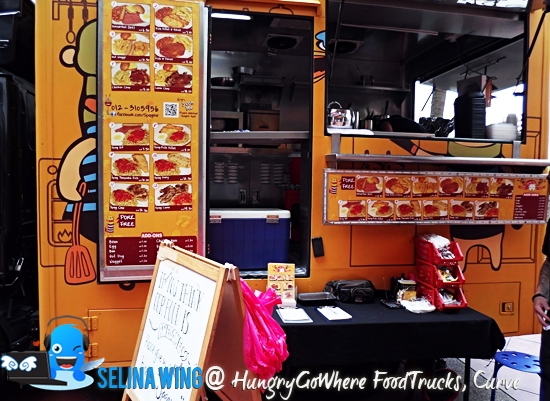 My mom, just learned to be new blogger, Secret Spices who joined me to visit the Food Truck Fiesta there! We got free "nasi lemak" when we showed HungryGoWhere app to the staffs during the media event started, then we also got free vouchers and freebies too. How to get this app? 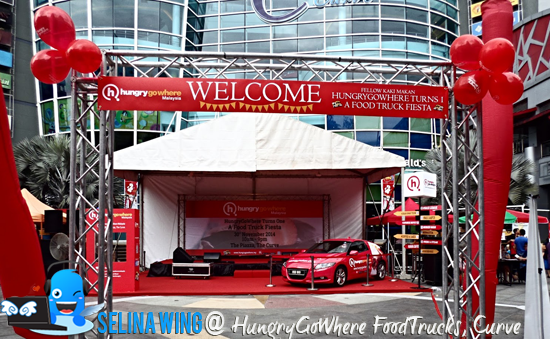 You can download the HungryGoWhere app which are available in Google Play and iOS only, if you want to know how to review your favorite food in your mobile then you can get their invitation to the HungryGoWhere's events! 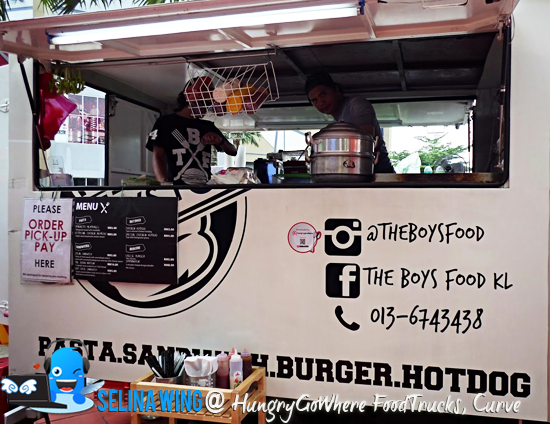 There are twelve food trucks were brought together at the Curve with the theme "HungryGoWhere Turns One - A Food Truck Fiesta". 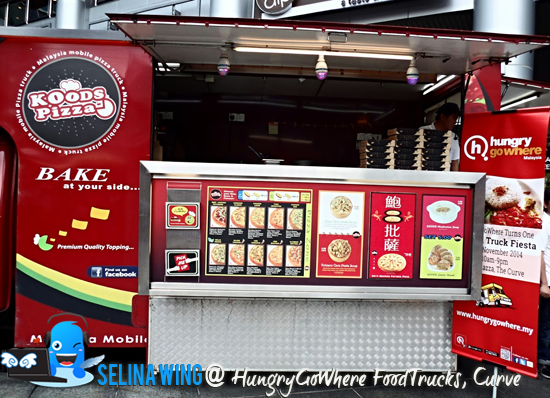 First time, I visited around the different name of food trucks such as Pasta More, Koods Pizza, Spagme, Big Hug Burger,Laughing Monkey and etc. 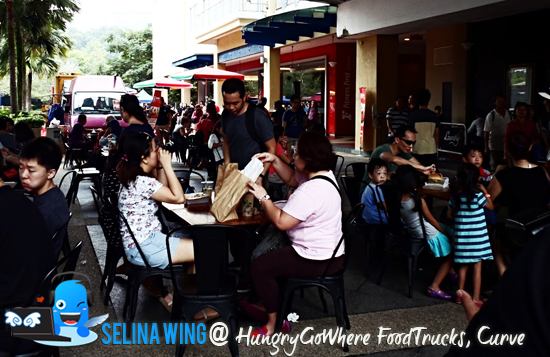 It also open to the public, so there are many visitors who try new food from the food truck. The seats are always full. My mom and I were looking for the food trucks, we don't know which is one delicious! Finally, my mom tried the spaghetti with fish fillet from Spagme. 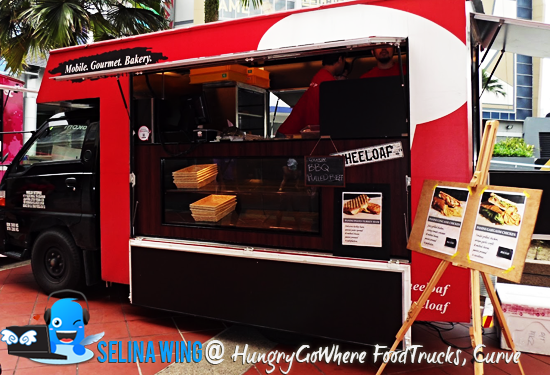 I ordered the tender grilled chicken with Wheeloaf's special BBQ sauce from Wheeloaf food truck at same time. You Hungry? Where? How? 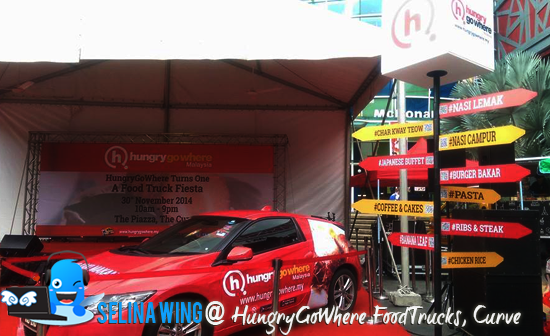 Go to get HungrygoWhere application which can be downloaded via GooglePlay or App Store NOW!